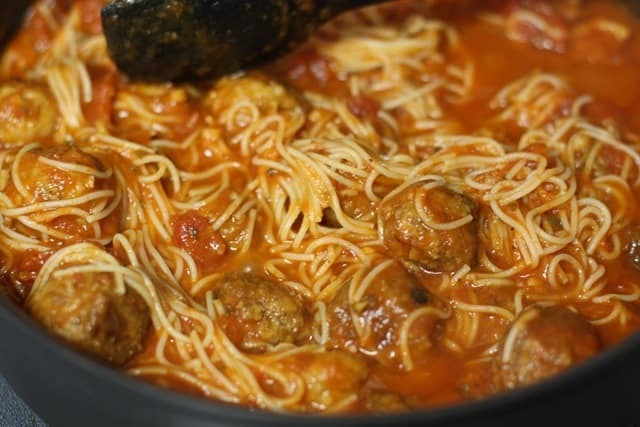 Nothing to see, keep on moving, just some pasketti. I’m tired, and do not feel like cooking. So, I didn’t really. I opened a bag of frozen PROCESSED (sigh) meatballs, poured on some can merlot sauce and called it done. An hour later, my stomach was not happy. It really is true that if I good for me food consistently, then my body gets used to that and craves that. I should have just eaten some veggies and fruit instead of a “meal”. I have this Southern mentality that dinner has to be a heavy meal and that’s got to change. But, I did show off my favorite cookware. 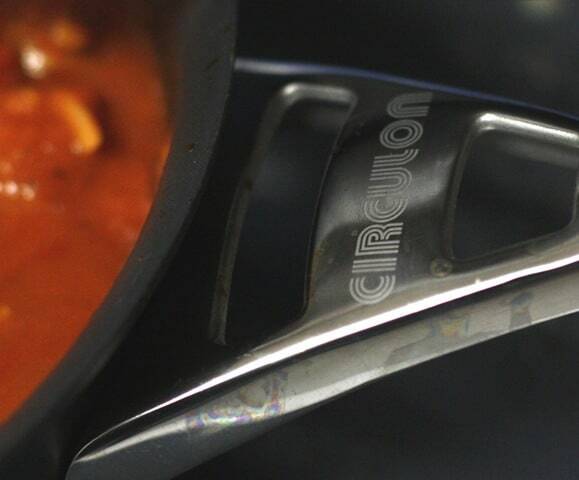 This is Circulon Infinite—so nonstick, I can still cook an egg, and yet…dishwasher safe. That being said, I rarely put them in the dishwasher. I guess my grandma’s little voice is still there saying “No pan is dishwasher safe. It will ruin the finish”. This is my second set of cookware. 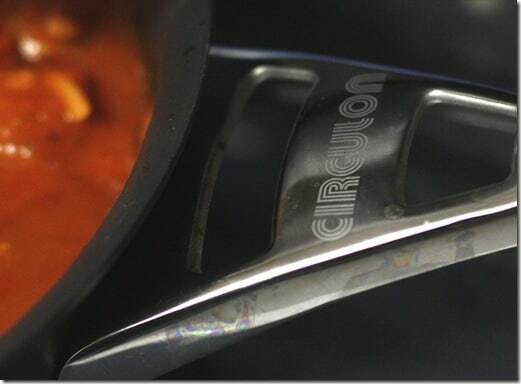 I had a set of the most worthless over priced crap EVER Calphalon and I wouldn’t spit on it if it were on fire. Horribly NOT non stick. I mean…even oil would stick. This time, I checked out reviews everywhere and I couldn’t be happier. It wasn’t very expensive either. Running—-ugh. yucky sinus infection again. I feel like warmed over poo. Previous Post: « It’s been 5 years since I’ve made this..